Description: Aubrey Corners is a picturesque place in Southwest Wisconsin near my aunt and uncle's home. There are some homes and a one-room schoolhouse under some stately shade trees at Aubrey Corners. 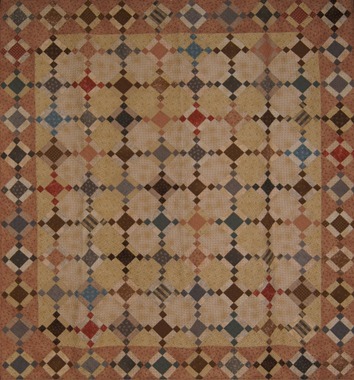 This quilt is made with 10 inch precut Settlement fabric collection by Windham fabrics and Jeanne Horton.